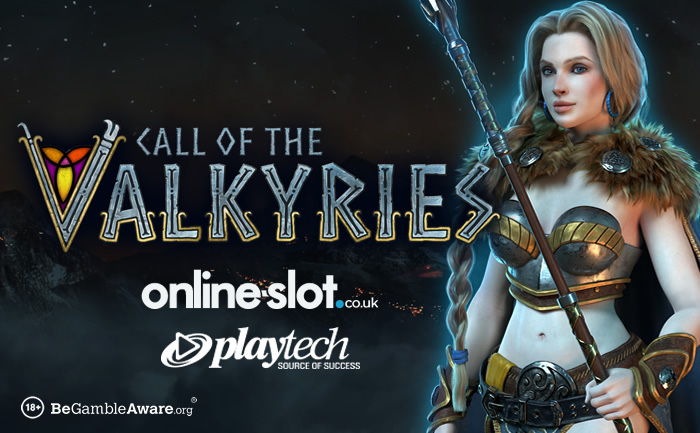 Join the Valkyries on a quest to enter Valhalla in the latest slot from Playtech – Call of the Valkyries. Read about this epic release and where you can play it exclusively. Call of the Valkyries comes with 5 reels and 25 paylines – you can spin away with Valhalla in the background from just 25p per spin across PCs, laptops, smartphones and tablets. Visually stunning, you’ll see Thor’s hammer as well as warrior symbols like shields, axes and helmets. When it comes to bonus features, there are a few – in the base game, there’s the randomly triggered Touch of the Valkyries feature where Valkyries will transform all warrior symbols into wilds to give you a guaranteed winning combination. Then you have the Call of the Valkyries feature where you pick items dropped by the fallen warriors – these reveal cash prizes. If you make it to the end and reach the gate of Valhalla, each life you have at the end will apply a 2x multiplier to your cash prizes. The best is the March of the Valkyries feature which is played when a stacked wild Valkyrie appears on reels 1, 5 or both. You then get free respins with the stacked wild Valkyrie(s) shifting 1 reel with each respin. Also, warrior symbols transform into frozen wilds. You can also get frozen wilds with 2x multipliers. When 2 wild Valkyries meet on reel 3, all wins are doubled! The feature only ends when ever wild Valkyrie has reached the opposite end of the reels. For more details and to try for free, visit the Call of the Valkyries slot review. Call of the Valkyries can only be played at Coral Casino (for now). The Playtech-powered online casino has plenty of other new releases such as Charms of the Sea and The Dark Knight Rises. They also have other superb Playtech slots like Eliminators, Raiders of the Hidden Realm and Legend of the Jaguar. Not got an account? Sign up and deposit just £10 to get a £50 bonus.